Charitable Planning – James F. Gulecas, P.A. 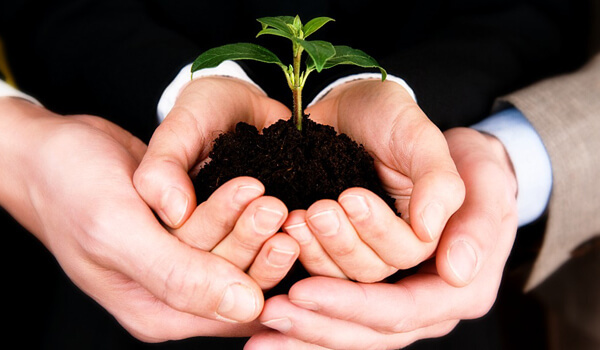 A Private Foundation can be structured as a trust or as a non-profit corporation. As a 501(c)(3) organization, a private foundation is able to receive tax-deductible contributions and is exempt from income tax on its earnings. A Private Foundation may make distributions to public charities as determined appropriate by its trustees/directors and also establish its own direct charitable programs, such as scholarship programs. A Private Foundation is subject to numerous requirements and prohibitions that must be followed in order to retain its tax-exempt status and avoid potential excise taxes and penalties. An alternative to a Private Foundation is a Donor-Advised Fund, which many financial institutions sponsor and administer. There are both advantages and disadvantages to each alternative. The primary benefits of the Private Foundation option are the ability to control the organization’s investments and charitable expenditures, and to employ and pay family members who help to manage the foundation (any such compensation must be reasonable). A Charitable Remainder Trust is a trust that you may establish to pay income to you and/or other beneficiaries you select for a period of time. At the end of the period, the trust’s remaining assets are paid to a charitable organization or organizations that you name in the trust. You may retain the right to change the designated charitable organization(s) and/or give a trusted family member this right. The charitable organization may be your family’s private foundation. The payment to you and/or the other noncharitable beneficiaries can be in the form of an annuity (a fixed dollar amount) or in the form of a “unitrust” payment (a fixed percentage of the value of the trust assets recomputed annually). The period of payment can be either for the life or lives of yourself and the other beneficiaries, or for a specified period (not to exceed 20 years), or for the longer or shorter of either. Because part of your contribution to the trust will ultimately be paid to charity, you will receive a current income tax deduction equal to the actuarial present value of the charitable portion. For example, assume that you give $100,000 to a charitable remainder unitrust that will pay you and your spouse 6% of the trust asset value per year recomputed annually for the remainder of your joint lifetimes. If you and your spouse are both 65 at the time of the gift, and the applicable interest rate at that time is 5.0%, then the income tax charitable deduction would be about $23,000. You may also establish a charitable remainder trust in your Living Trust or Will. While no income tax deduction will be obtained, your estate will be entitled to a charitable deduction for estate tax purposes. The IRS has issued form charitable remainder trusts that many practitioners and charities use verbatim. While these form trusts are guaranteed to qualify as charitable remainder trusts, they lack many features that will increase the charitable deduction, avoid potential adverse estate and gift tax consequences, and make administration easier. We therefore recommend that you use an attorney experienced in charitable planning issues in establishing a charitable remainder trust. Many clients fund charitable remainder trusts with appreciated stock, real estate or other assets, so that the trust can sell them without incurring capital gains taxes. It is vital that the charitable remainder trust be established and funded before you sign any agreement to sell the asset. If you have signed such an agreement, the IRS will assert that the capital gains on the sale should be taxed to you rather than the trust, and the courts have supported the IRS on this issue. A Charitable Lead Trust is basically the opposite of a Charitable Remainder Trust. This is a trust that pays a fixed annuity or unitrust payment to a charity you select for a specific period, and at the end of the charitable payment term would pass estate tax free to trusts for your children and grandchildren. As with a Charitable Remainder Trust, the period of payment can be either for the life or lives of yourself and the other beneficiaries, or for a specified period (not to exceed 20 years), or for the longer or shorter of either. The charitable organization receiving the payments can be a private foundation, so long as the grantor of the trust is not a trustee or director of the foundation (family members of the grantor are apparently permissible). Charitable Lead Annuity Trusts (CLAT’s) are much more commonly used than Charitable Lead Unitrusts (CLUT’s) because clients believe that the assets in the trust will appreciate in value and want that appreciation to benefit their children and grandchildren rather than the charity. CLAT’s can work very well when (i) the value of the contributed assets are expected to appreciate greatly after the date of the contribution, (ii) interest rates are low, and/or (iii) if the payment term is based on a person’s life, that person has a life expectancy less than that given on the IRS actuarial tables. If, for example, a 65 year old man funds $1,000,000 into a CLAT when the applicable interest rate is 5.0%, and the CLAT pays a $50,000 annuity for his life to charity, then assuming the trust assets grow at least 5% per year, the trust would still have $1,000,000 or more upon his death, and would not be subject to estate taxes. There would be a taxable gift of about $472,500 on establishment and funding of the trust that would need to be reported on a gift tax return, but assuming that this gift does not exceed the taxpayer’s remaining gift tax applicable exclusion amount, there would not actually be any gift taxes payable. The taxable gift can be decreased by increasing the annuity percentage, and it is possible to even “zero-out” a CLAT (i.e. eliminate any taxable gift) if the annuity payment is sufficiently large. For example, the same taxpayer could establish a zeroed-out 20 year CLAT with the same $1,000,000 that provides for annual payments of $80,243 to charity and does not incur any taxable gift whatsoever. If the assets perform well and appreciate at a 10.0% annual rate, there could be over $2,000,000 in assets remaining in the trust at the end of the 20-year term that would pass free of estate and gift taxes to the children and grandchildren. A benefit of using a CLAT rather than a Grantor Retained Annuity Trust is that you can use your measuring life as the annuity term for purposes of taxable gift calculations, and the trust assets would be excluded from your estate regardless of whether or not you survive the annuity term. The disadvantage is that the annuity payments would be made to the charity, rather than to you (which may not be a disadvantage, depending on how you look at it). Typically, a Charitable Lead Annuity Trust is designed as a non-grantor trust, so there would not be a current income tax deduction for funding the trust. However, the trust income, to the extent paid to the charity, would not be subject to income taxes. The tax on any income in excess of the amount paid to charity would be paid from the trust at the trust income tax rates. A CLAT can be structured as a grantor trust, in which case you would receive a current income tax deduction for the actuarial present value of the charitable annuity, but would be subject to income taxes on all of the income earned by the trust, whether or not paid to charity. Many clients use testamentary CLAT’s as “deferred inheritance trusts” that are funded upon death and pay for a specified number of years the minimum amount to charity necessary to eliminate any estate taxes on the inheritance. Are you thinking of making a contribution to a charitable organization and want to make sure that the organization qualifies for tax deductible contributions? Click here to see if the organization is listed in the IRS database of qualifying organizations (no guarantee that the IRS has kept its database current). If you are planning to name a specific charitable organization in your estate planning documents, this is also a useful tool to obtain the correct legal name of the organization to avoid possible confusion. Many charities offer basic charitable gift planning calculators on their web sites for clients considering charitable remainder trusts, charitable lead trusts and other charitable giving vehicles. One such calculator is available here.